Called "garden city" for the beauty of its environment and its archaeological history, Grottaferrata, near Rome, is a wonderful centre of the Castelli Romani region, located a short distance from the city of Rome, on the slopes of the Alban Hills. The city was entitled to the remains of a Roman villa, of which remain part of the walls and a railed window, used as a shelter, in 1004, by San Nilo from Rossano and his followers when they took possession of these lands, donated to them by Pope Gregory I. In Roman times, the city was a preferred residential area, chosen by the rich and noble families to build their villas and relax in this superb environment. The main centre developed around the Exarchs Monastery of Santa Maria di Grottaferrata, sharing the same fate and history. - the Abbey of San Nilo, founded, in 1004, by a group of monks of Byzantine-Greek rite, followers of San Nilo, to whom Pope Gregory I assigned these territories. It stands on the ruins of an ancient Roman villa, whose traces are still visible in criptoportico. Over the centuries, due to its strategic location, the abbey was occupied several times by troops marching towards Rome. To try to put a stop to the continuous devastation, Cardinal della Rovere, in 1480, decided to fortify the architectural complex: today, the abbey is surrounded by a high walls, four watchtowers and a moat, designed and bult under the supervision of Antonio da Sangallo and Baccio Pontelli. 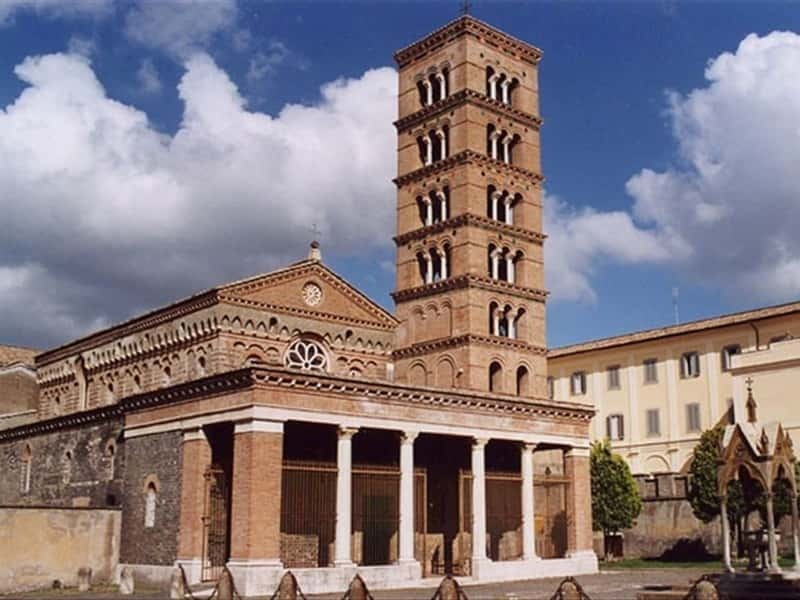 Next to the monastery is located the Basilica of Santa Maria, consecrated in 1024 by Giovanni XIX of the Counts of Tusculum and features an entrance with a portico surmounted by four columns, a narthex and a portal in Byzantine style (XI-XII century). - the remains of Castel de 'Paolis, built in the XI century, on the ruins of the Roman villa of the Scribonius-Libones. This town web page has been visited 38,882 times.